Suicide arrives in waves on Pine Ridge Indian Reservation. 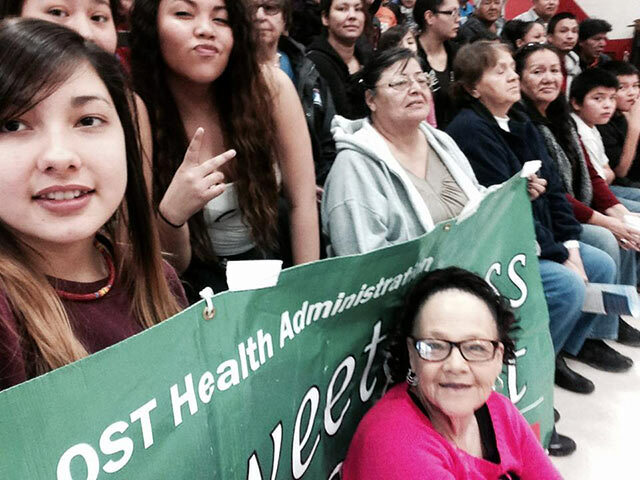 On Christmas Day, a 15-year-old Lakota girl took her own life. Soon afterward, a boy, just 14, took his. Since then, a young man and six more girls, one as young as 12, have followed as this current wave continues to swell. There have been numerous additional attempts in the last few months on this South Dakota reservation of about 28,000 people. The rate of suicide among Native youth in the United States is more than three times the national average. Very often that rate climbs even higher. In March 2010, then president of the Oglala Sioux Tribe, Theresa Two Bulls declared a suicide state of emergency after a rise in the number of suicides. Current President John Yellow Bird Steele has now declared one yet again. 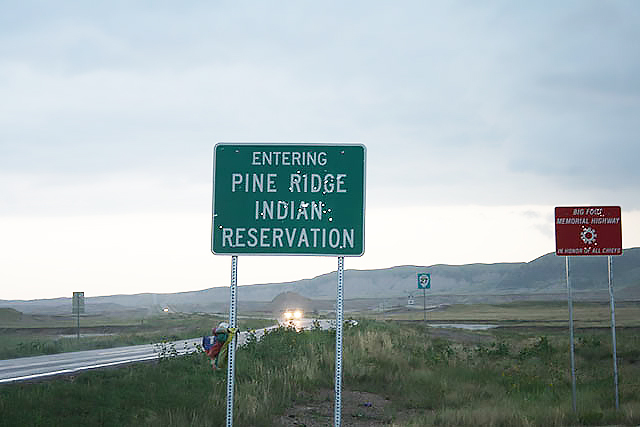 There are many difficult issues facing the Oglala Lakota people of Pine Ridge. Stories about alcohol and drug abuse, poverty and depression attract much attention. But to some, these are just parts of a much larger picture. Brave Heart, a Hunkpapa and Oglala Lakota, is cofounder of the Takini Network, an organization with the goal of helping Indigenous peoples heal from historical trauma. “The cycles of abuse that continue from boarding schools, having your parents taken away or your children removed from your home and the breakdown of the family that we were exposed to – everything is connected really,” Hopkins told Truthout. Hopkins has witnessed the historical trauma response’s “constellation” firsthand. Her father was put into a boarding school when he was 4 years old; she has witnessed alcohol abuse within her family and she explains how she has had to endure a stigma that Native women are about 33 percent more likely to have to endure than non-Native women. According to the US Department of Justice, “one in three Indian women reports having been raped during her lifetime.” In the majority of those cases, the perpetrators are reported to be non-Native men. Arrests and prosecutions are rare in those cases. As Native Americans were forced onto reservations and into Christian boarding schools, it was not only their relationship to the land that was severed. Taking the hunter out of the culture and replacing that spirit with canned food was not unlike other cultural disconnections. 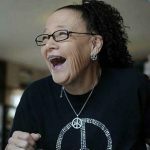 Janis thinks that this attempt to change their way of life and make them dependent, both physically and spiritually, is still very much present today and is reflected in the struggle of their youth. “People don’t look at it that deeply but it does go that deep,” she said. According to Janis, the number of suicide attempts is usually much greater than reported. One reason for this is the reluctance of children to go through the Indian Health Service, which sends them to hospitals in Rapid City to receive counseling in groups with non-Native children before being returned to the reservation. 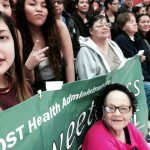 The Sweet Grass Suicide Prevention Project provides suicide prevention training based on the concepts and values of Lakota culture. But even ancient traditions present new challenges. 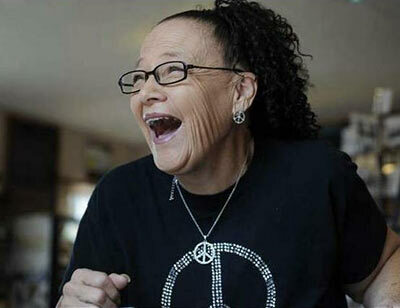 DeCory has been on the front lines of suicide prevention for decades, responding to calls for help across the beautiful landscape of her nation. “Why do I have to be a product of historical trauma?” an insightful 17-year-old once asked DeCory. “That happened to my great grandparents. Why me? Why do I have to live that?” he asked. “‘I’m trying to move on,’ he’d say, ‘yet I keep hearing about what was done to my family and that leads to why I’m this way,'” DeCory said. Despite these challenges, hope remains. Staying together is key for DeCory. Hopkins agrees. “You can’t just take one individual out of the equation and say, ‘we are just going to fix this one person.’ Of course, you need to work on that one person, but you have to look at that person’s community and their family and their history in order to get to the root of the problem and have a real solution,” she said. 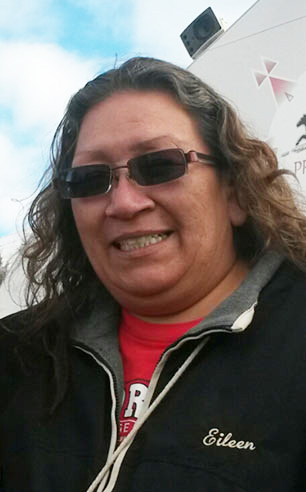 Hopkins, also a founding writer for LastRealIndians.com and a columnist for Indian Country Today Media Network, trusts the spirit and strength of her nation. Up until the American Indian Religious Freedom Act of 1978, Native Americans were forbidden to practice traditional ceremonies. The challenges to this cultural and spiritual identity are literally set in stone. 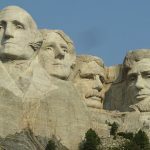 This year, the Mount Rushmore National Memorial will be celebrating its 90th anniversary. 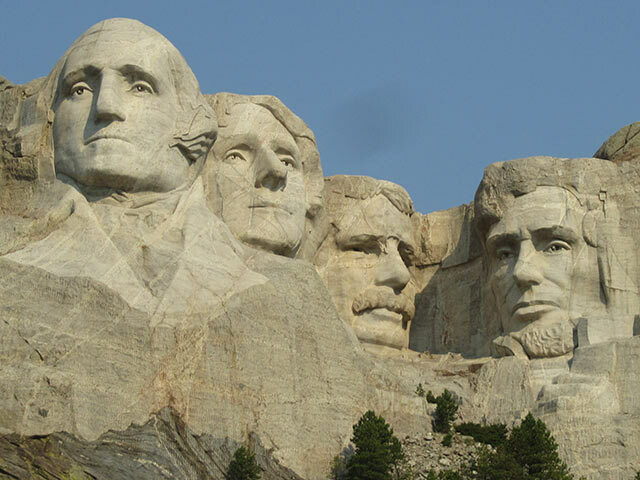 This “shrine of democracy” was carved into the face of what the Lakota consider to be their sacred Black Hills. The memorial serves as a constant reminder of this historical trauma, bringing it out of the history books and into present tense as it stares down upon Lakota lands protected by treaties signed with the United States. Unfortunately, for now, history may be of little comfort to those in mourning. This article first appeared on truthout.org on April 26 2016. © Truthout. Reprinted by permission.